Valet and self parking options available. Food, as always, was fresh, flavorful and beautifully presented. Server knowledgeable and helpful. Always on my top 5 list! Lunch with a friend, it was her first time there. I am a regular. She loved it! We invited friends to join us for dinner. This was their first time to the restaurant and they really enjoyed it. At times the restaurant was too loud to hear the conversation. Excellent food and service. Quality of the food taste and flavor has diminished. Food was awesome. So many choices. Just expensive for lunch. Our server had zero personality and did not smile or engage other than the basic can I get you a drink? Are you ready to order? I had to ask for more water. In past visits, the servers have been so friendly it kind of made up for the slowness of the kitchen in getting our food out. We always order an appetizer because the food is slow to come out. Even the appetizers took a long time this visit and our server was no where to be found. This was not my first visit however, it was my sister in law first time. Visit for California wanted her to know we had some great options here. She rave about the food and most of all the service all the way home. The food is always fresh and the taste always excite the palates. The drinks are refreshing we had hangover rx and original ginger my favorite. Parking is always difficult but I recommend valet. One of my favorite places. We miss the squash pie but it is seasonal. Fabulous setting with large menu offering lots of choice especially for vegetarians and vegans and those wanting to make a healthy choice. Almost too noisy for a business meeting. We are a society of sick people due to the media attention on fast and unhealthy foods! True Foods is much needed. If we ate this healthy all the time we wouldn't be so unhealthy! The entry staff was very accomodating with keeping my reservation on track with 6 people. The bar staff were great, as were the drinks. Once seated, the waiter was quick to come to the table and helpful in explaining the choices of food. He could have been more cognizant of reorders for drinks and more timely delivery of a drink order made when we were seated. He brought a second drink to one of our group, but two of us had to bring him back to the table to make an order for a glass of wine. The food is definitely for the organiclly inclinded diner, which is good for all of us. I believe all of us enjoyed our dishes and left feeling a healthy fullness. The only things that keep me from making the highest score is the attentiveness of the waiter to everyone at the table. We were all able to hear each others conversations even though we were close to the kitchen area. The table was perfect. 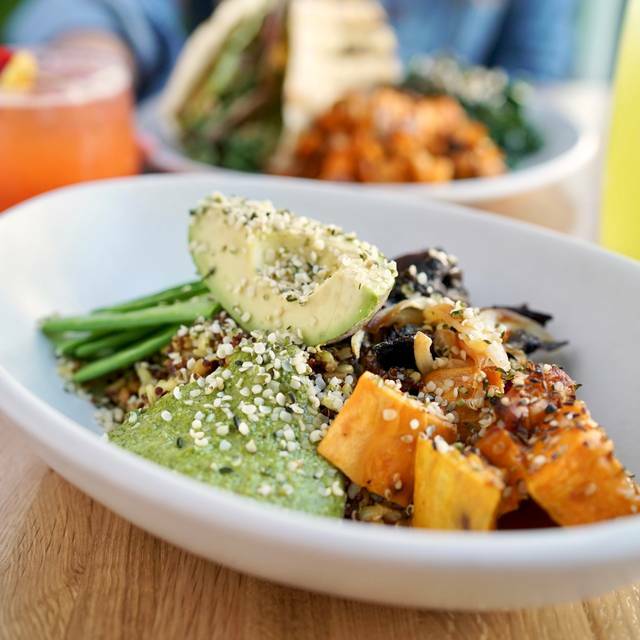 Great vegan and vegetarian options but service can be inconsistent and it can get way too loud to have a conversation even while sitting out on patio. Nice! Healthy. Decent portions. Very uncomfortable metal chairs so all 4 of us squeezed into a corner booth. LOVE the food here! 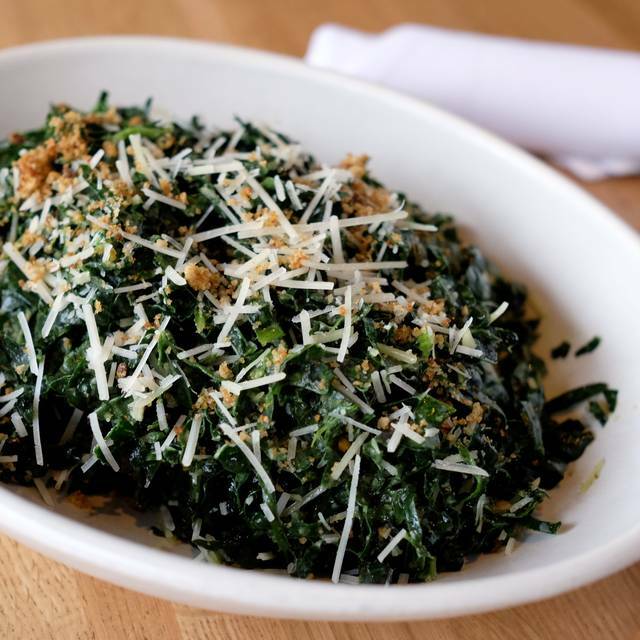 Great seasonal options plus some favorites that stay on the menu all the time. They also have interesting and delicious cocktails that also change seasonally. It can be kind of loud, and the bar can be a little slow, but that doesn't keep it from being a favorites spot of mine. The food is really the star here. The Cobb salad is amazing. The prices are a bit steep but you always pay a premium for organics. The service was friendly and efficient. This place is loud. Really loud. Even on a Sunday night. 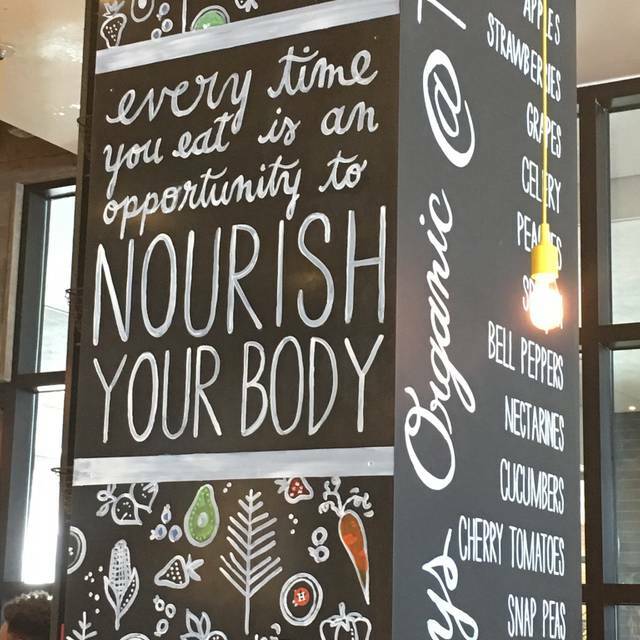 The price is just a little premium, but the food is delicious, and healthy. By far my fav restaurant. My husband flys us from Huntsville to Atlanta for dates all the time just to take me here! Fav fav fav! The Korean noodle bowl with grilled salmon was delicious. Such a unique blend of flavors and mouthwatering mushrooms. 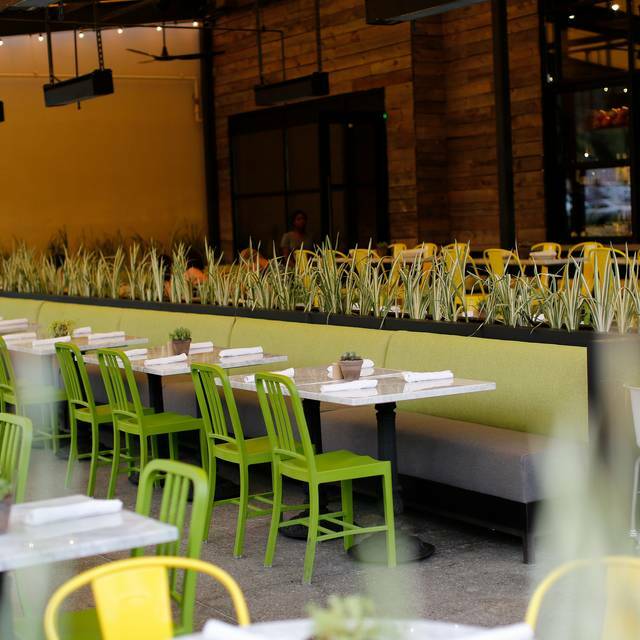 Sean, the general manager, was great - very sociable and knowledgeable about the new spring menu. Try the flourless chocolate cake. It melts in your mouth! Assata was a ray of sunshine at the bar too. Can’t wait to return on my next trip. 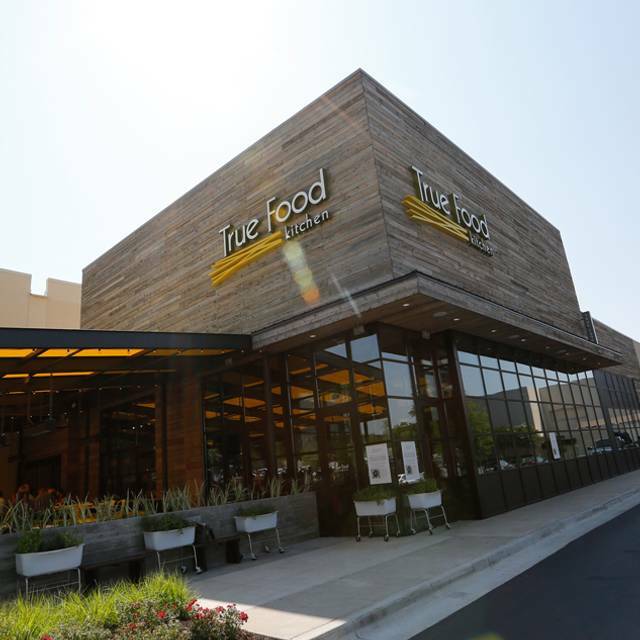 My mom was so excited to come to this location of true food kitchen. We were so disappointed in our service and food. Our Waitress barely came to the table, she took my margarita pizza to a different table behind us and put it on their table and said they didn’t order a pizza. The waitress took the pizza back to the kitchen then brought the same exact pizza to our table and put it front of me. It was cold and the crust tasted like flour coated rubber. Every bite of the pizza had clumps of flour on the bottom. My mom got the Gf banana pancakes and they came out cold. We waived a different waitress and told her because ours was nowhere to be found. She kindly apologized and put in another order of them, our waitress brought the second order out several minutes later and they were cold again. So cold the butter wasn’t melting.. We also ordered fresh juices that were wonderful! We asked for glasses of water as well and our waitress brought us little glasses of water and brought large glasses to both the tables besides us. She never once asked to refill our water. This was my first experience here and my moms second, thus we were extremely disappointed and will not be back. Laura, I am very disappointed in the lack of service and quality of food we provided you and your mom. I want to be the first to apologize for the experience you both had with us, hope to assure you that this is the exception to the standard and not the norm for us. I would like the opportunity to discuss your visit in greater detail in attempts to make this right with both of you, and have you back as fans of TFK. 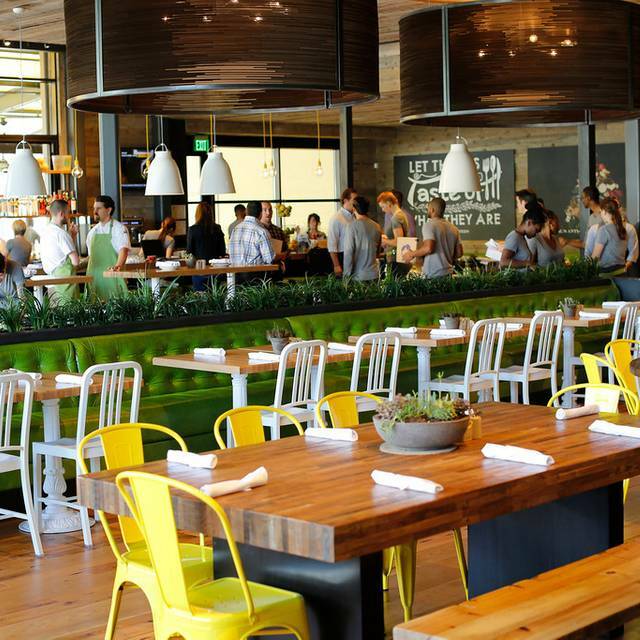 Please send your contact information to SCrum@truefoodkitchen / 404-481-2980. Disappointed with my meal. I ordered the Spaghetti squash casserole and there was only two spoonfuls of spaghetti squash and five strands of Zucchini, the rest of the dish was full of onions and cheese. The service was wonderful; the food was fresh and delicious; and the drinks were refreshing. I recommend the "OG" as a refreshing option to end your hectic day. 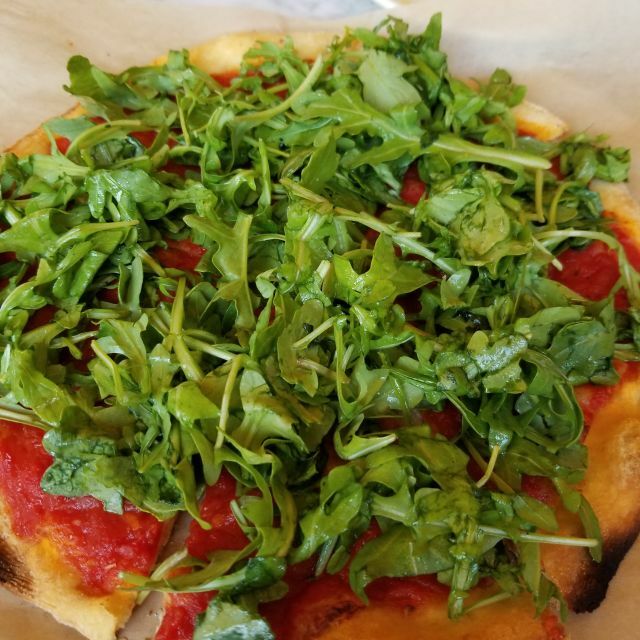 Always excellent, tasty, healthy options. The seasonal choices are great. The food is consistently good here and you never feel back about eating it! Our group ordered edamame dumplings, quinoa burger, chicken and sausage pizza, Mauritius Island redfish, grass-fed burger, honeydew cooler, Crispín cider, and flourless cake. They were all flavorful and delicious. The server was attentive and pleasant. Had lunch there. The food was good. My redfish had several bones which is beyond their control but was good to know since my 5 year old eats there. Great variety on the menu. Lively atmosphere. Food was great. Delicious hot tea. Service was just ok. The server brought my friend a beer, poured it too quickly into the glass and spilled it all over his glass and the table, looked at it like “oh well” and just left! I had to wait until I saw her again and ask “would you mind cleaning up his glass and the table please?” She cleaned it upon asking but I found it very odd that I had to ask. It’s a bit loud for across the table conversation. Sit beside one another if you would like to hear. Wonderful meal. The best hummus in town. And the second time having Eric as our server. He's the best. 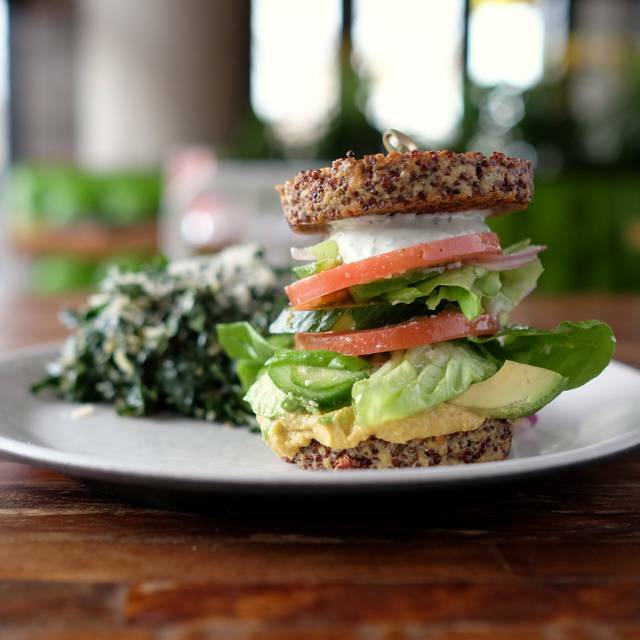 Great healthy options, only place like it in Atlanta! This was the first time we tried True Food as we were stopping to eat while out running an errand. We eat clean at home and are restricted to a gluten free diet. My husband had the fish tacos which he thought were a tad bland (I use a LOT of spices at home) but I thought tasted good. I had the gluten free banana pancakes which were YUM. Not a traditional pancake taste as they are made with quinoa, but very good anyway. We also split a GF blueberry muffin while we waited. Also delish! Fresh berries and a great batter. The atmosphere was nice, clean and open, not too loud, busy but not cramped. We made reservations through OpenTable which I would totally recommend as there was a long line when we left. The Atlanta location is a little far for us, but we will certainly try the other location closer to home. 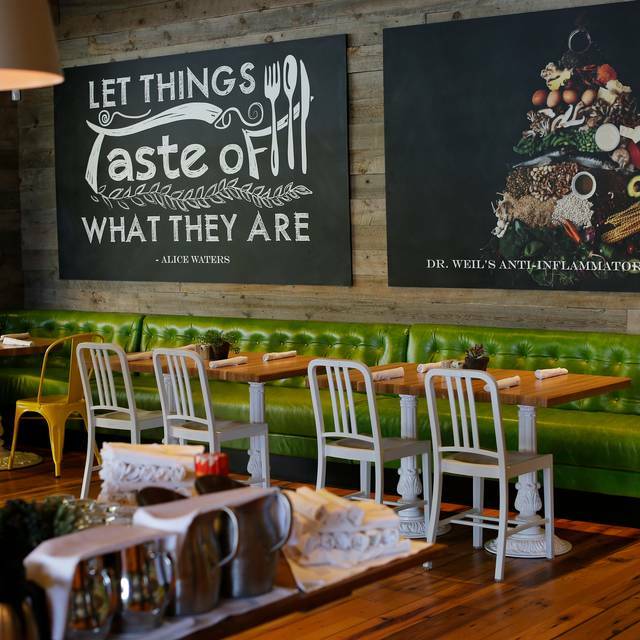 The food was so boring, listless and devoid of flavors that nothing came together. Probably the worst fish taco I have ever had. Absolutely no flavors, boring and bland. The Brussels sprouts were less than average, no real pop. Rest of the food in my party was sub par too. They have exotic ingredients in all the dishes that don’t really come together. Spent $100 for 3 people (just 1 glass of wine) and was so totally not worth it. I will not be coming back to this restaurant. Love the atmosphere! Friendly staff and the meals were incredible. My friends and I loved our meals! Incrediboe service everytime my server is top notch. The food is light and healthy.